Boring night. Motoring all the way after a few hours of promising aft Wind. Night shifts went well. Tonton got up only at 10:00. And he had the easy shift from 00:00 to 03:00. But the rattling of winches, blocks, reefing, motoring and sail maneuvers created by the Larses, gave the man a poor night of sleep. 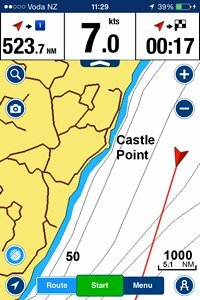 Passed Castle Point. Calm, flat, dead. Must have confused this with the infamous gale force cape. Better this way. 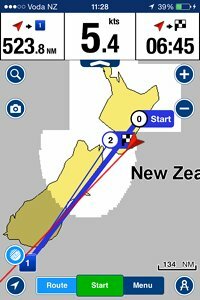 Now it is noon and we sailing nicely South on winged sails. 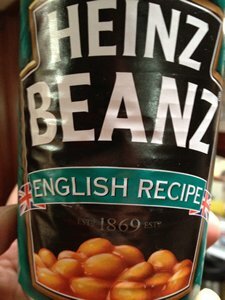 chouriço and English style backed beans from the can. Tonton just had a sniff. Even Lars took a small bite only.